LAHORE (APP): The Pakistan Railways has extended full cooperation with the Balochistan provincial government for the suggested Urban Transport System in Quetta city. 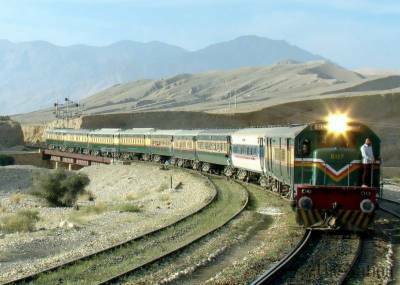 Pakistan Railways Chief Executive Officer Javaid Anwar Boobak said this while presiding over a joint meeting with Additional Chief Scretary Planning and Development Department Balochistan Dawood Muhammad Baraich to discuss the suggestion of the Balochistan government to develop an Urban Transport System in Quetta . It was discussed that nature and design of the city transport system remained different from inter-city railways and such projects always run by local governments. To which, the additional chief secretary Balochistan said further decisions about the system would be taken after detailed study of the project feasibility. He thanked the PR CEO for cooperation. Additional General Manager Infrastructure Hummaiyun Rasheed , Additional GM Traffic Maqsoodun Nabi, Chief Marketing Manager A Hameed Razi, Director Property and Land Arshad Islam Khatak attended the meeting.